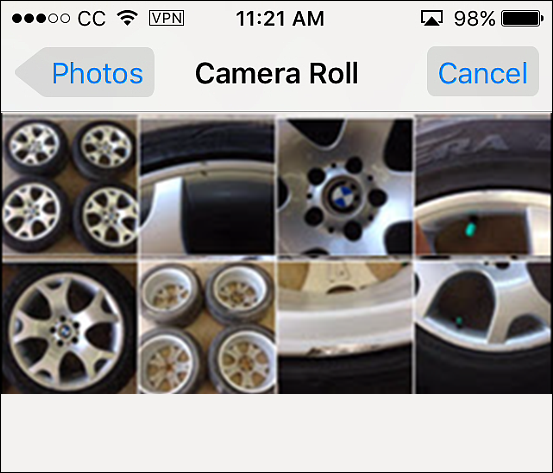 Take photos of your inventory - your customers can see these photos online, and your salespeople can see them in Checkmate! 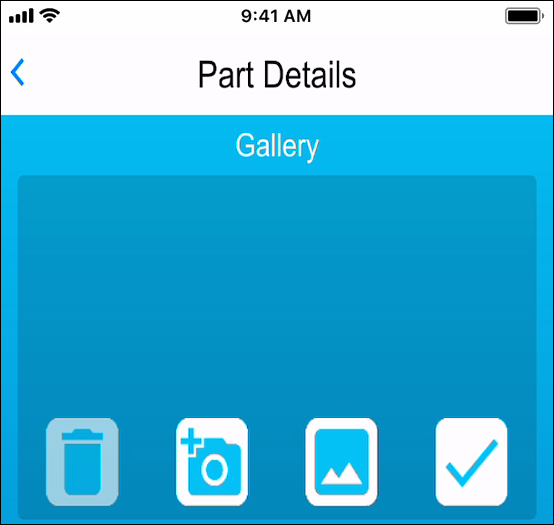 Add parts to your inventory, take photos, and immediately upload parts to Checkmate. Change the location of your parts. 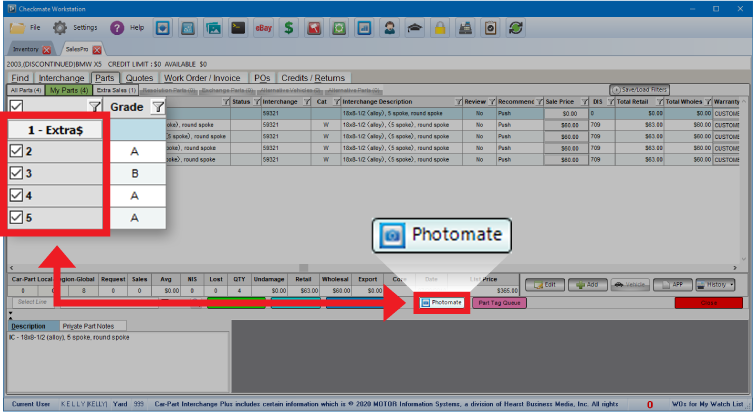 Use Photomate's built-in barcode scanner, or look up parts without barcodes. Conduct location audits to ensure Checkmate's location information is up-to-date. In today's world, customers do a lot of their browsing and shopping online, and are attracted to products that have photos. With Photomate, you can make sure you're drawing these customers in to your online listings with part photos. Identify any parts that need photos, then assign these parts to your team. Assignments appear in their Photomate app! or look up the part using the stock number or VIN if the tag isn't handy. Part assignments are organized on tabs. Easily see which parts are assigned to you. Tap a part from the list to see Part Details and add photos to it. Or use the search box to quickly locate specific part assignments. View task information on the Part Details screen. Tap the camera icon to take photos. OR tap the gallery icon to add photos from your camera roll. When you're done, just tap the check mark to send your images to Checkmate. 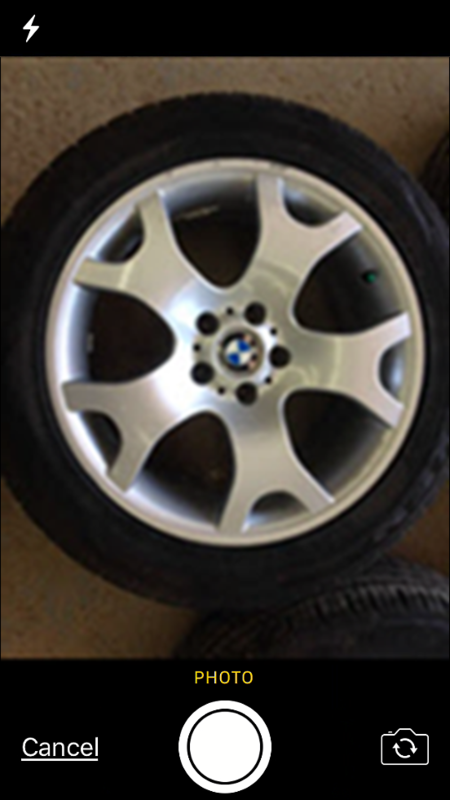 and they will also be included in your next inventory upload to online part listings. Photomate has everything you need to add a part to your inventory, right from your mobile device. To associate your part with a vehicle, enter a stock number. 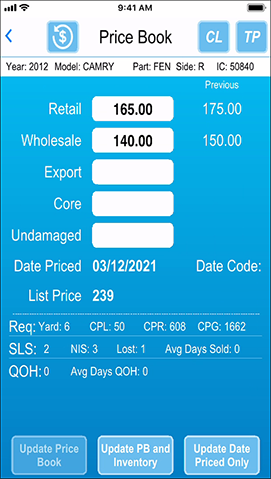 If that stock number is already in your inventory, Photomate displays the year, model, and location. Then select your part and interchange, and continue entering part information. 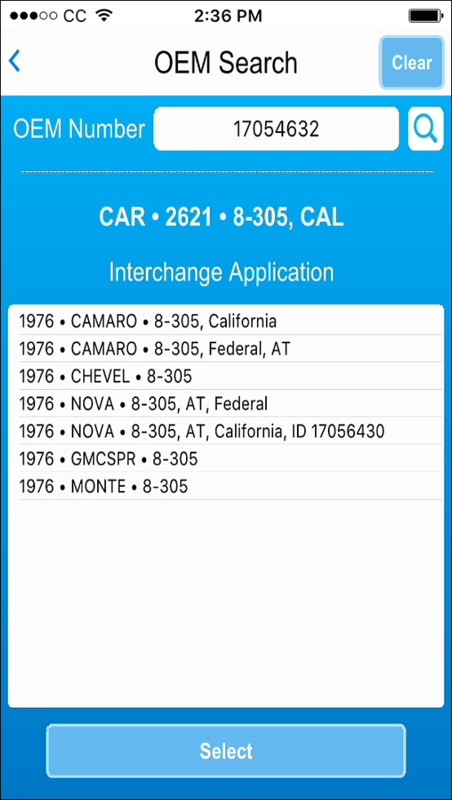 Use the part's OEM number to find the year, model, and interchange. You can flag the part for review, mark it as private, and add it to Checkmate's tag queue. Enter a cost, and view the Price Book information for that interchange number, right as you're adding the part. 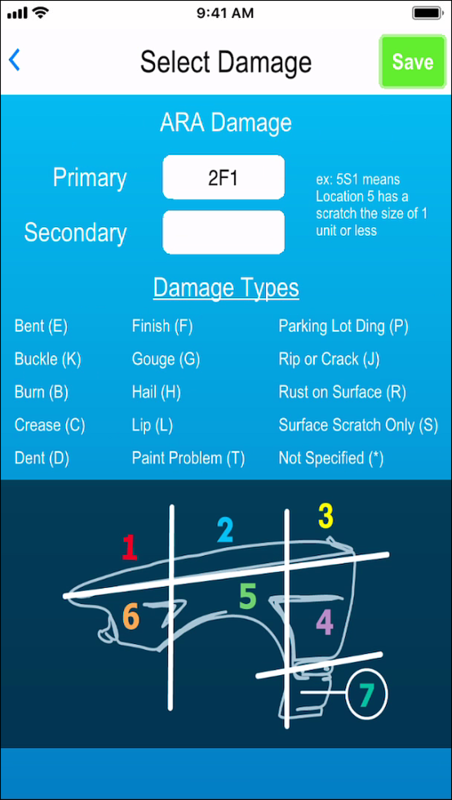 For body parts, use ARA damage images to determine and assign ARA damage codes. Add photos to the part immediately. Enter a private part note if you need to. When you're done, one tap immediately sends the part to Checkmate and adds it to your inventory. Photomate brings Checkmate's part location data right to your mobile device, so it's a breeze to audit locations. No need to print out part lists to bring to the warehouse. Simply scan or enter the location you want to audit. 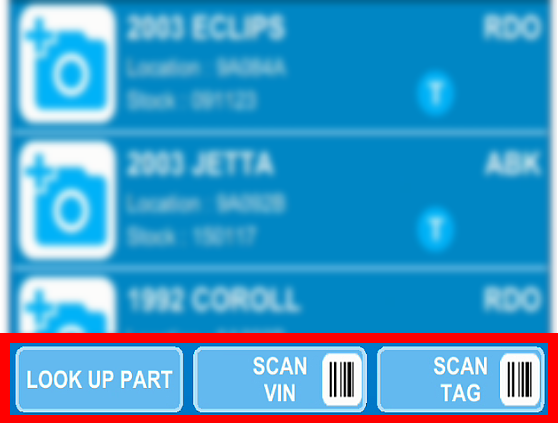 Scan the part tags or manually verify the parts in each location. Photomate reports any location inconsistencies (missing parts or extra parts) and allows you to correct them immediately. Any location changes will be updated in your Checkmate data right away. When moving parts around the warehouse or yard, Photomate lets you update a part's location information immediately. Use the Tag #, Stock #, or VIN, to find the part you're relocating. Once the part is entered, just scan or type the new location. With one tap, Photomate relocates this part to the new location, and updates it in Checkmate.